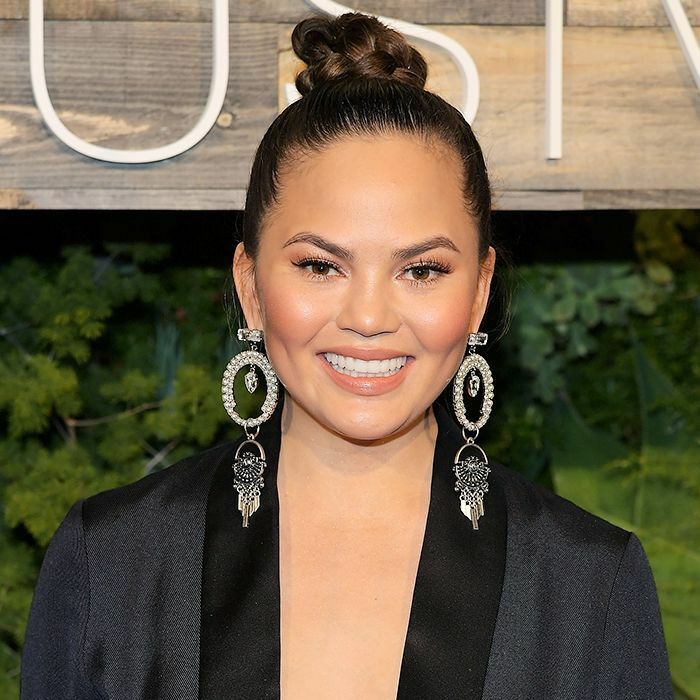 With her hilarious potty mouth, precious bulldogs, and openness about her stretch marks, Chrissy Teigen has to be the most relatable top model in Hollywood. We tend to think of Teigen as one of the more natural models in the business—her glowy skin and plump cheeks don't look at all nipped or tucked. Last night, we met the cookbook author in person at an event to celebrate her new makeup palette with Becca Cosmetics, and in real life, the impossibly leggy model looks just as au naturel. But according to a statement Teigen made last night, that's all a testament to her doctor. 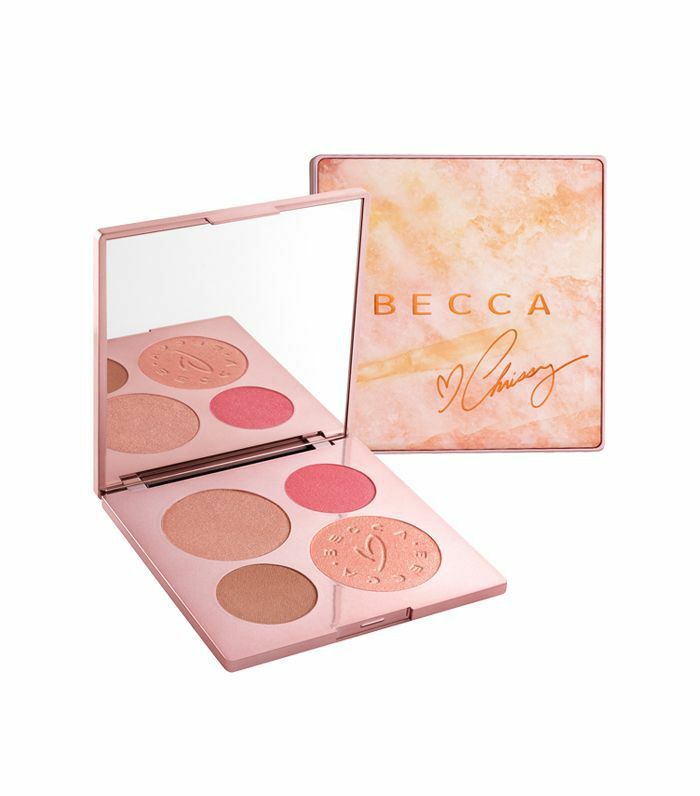 During a presentation of the new palette, a group of beauty editors sat around a kitchen table with Teigen, eating pizza and shooting the breeze like old college pals—except with more compliments. As the editors showered her with praise of her gorgeous, round cheeks, Teigen said that people always ask her if her cheeks are real or implants. They're real, she promises, but the rest of her face is a different story. "Everything about me is fake except my cheeks," she said with a laugh. Teigen pointed to her forehead, her nose, her lips: "fake, fake, fake." Next up, check out seven intriguing plastic surgery procedures you didn't even know existed.